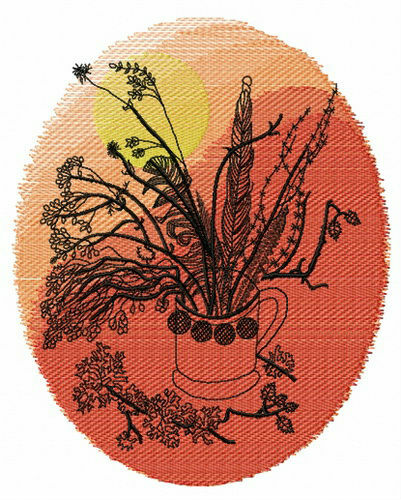 Check out this latest addition to our selection of flower-inspired machine embroidery designs! This needlework features a beautiful bouquet composition against a striking sunset background. Dark silhouettes of dried wildflowers and feathers are placed in a mug and make an arresting contrast with the yellow sun setting down in the orange skies. This masterful composition will come as fantastic decoration for your favorite items or as a standalone object in its own right. 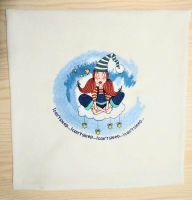 Stitch it out to tablecloths, napkins, wall carpets, aprons, cushions, blankets, towels, bed linen and much more. I've bought all the patterns of the floral series and a wonderful interior set went out! I've sewed several pillowcases for the digital design and made some decor with orange ribbons. Looks great. Specify which projects you want to use for commercial activities. How are you going to use, How many products are you going to produce. Please send answer via Contact Us. 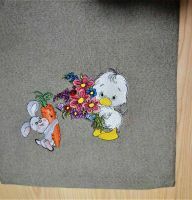 Used the floral composition for decorating several pillows, gorgeous pattern, thanks. 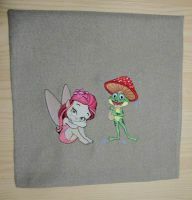 Embroidering was a real pleasure, I'd surely sew the digital pattern again. Great price! I have still not been able to use these patterns. I have a brothers Innovis 4000D. I have bought patterns from others companies using PES and have had no problems Could you please help me with this.